Description: Be at the center of the year’s most talked about film. Attend a private screening and after-party, where you’ll have a rebel encounter with Forest Whitaker. IfOnly invites you to the most exciting movie event in the galaxy: score two tickets to the exclusive screening of “Rogue One” and see the latest “Star Wars” chapter before anyone else. This evening will feel especially thrilling as it includes an encounter with Forest Whitaker, who plays rebel leader Saw Gerrera in the new film. 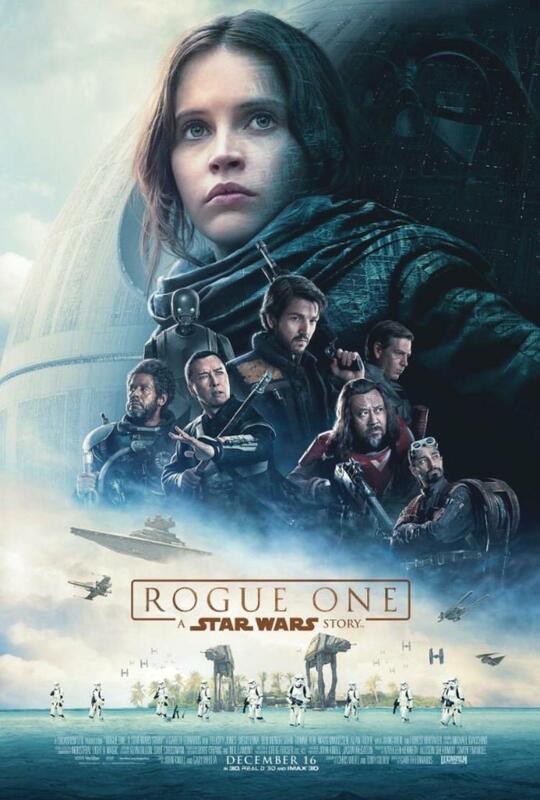 “Rogue One: A Star Wars Story” tells the story of a group of unlikely heroes, who in a time of conflict band together on a mission to steal the plans to the Death Star, the Empire’s ultimate weapon of destruction. This key event in the Star Wars timeline brings together ordinary people who choose to do extraordinary things. Starring Felicity Jones, Diego Luna, and Forest Whitaker, “Rogue One” promises to be the most exciting “Star Wars” episode yet. This experience takes place in London on December 13, 2016. An actor of both emotional power and range, Forest Whitaker is widely regarded for his uniquely intelligent character studies. He made his film debut alongside Sean Penn in the classic teen comedy “Fast Times at Ridgemont High” before going on to star in several ‘80s hits including “Platoon,” “Good Morning, Vietnam,” and the Charlie Parker biopic “Bird.” In 2006 Forest earned widespread critical acclaim in “The Last King of Scotland.” His haunting performance as Ugandan dictator Idi Amin would earn him numerous awards, including the Oscar for Best Actor. In 2011 Forest was named a UNESCO Special Envoy for Peace. The Whitaker Peace & Development Initiative (WPDI), which was founded by actor, social activist, and UNESCO Special Envoy for Peace Forest Whitaker in 2012, is a non-governmental organization with an international scope. WPDI develops an array of peacebuilding programs, initiatives, and campaigns to foster peace and reconciliation in disadvantaged and fragile communities in different regions of the world, including Africa, Latin America, and the United States. WPDI seeks to bring young men and women together and to empower them to become peace leaders and agents of positive transformations in their countries and communities.